Food inspection for bulk flow of unpacked fresh food cannot be completed without one of the two bulk/fresh food models from the KD74 series. 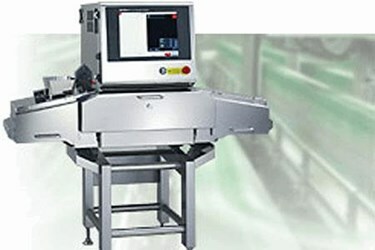 During this kind of food safety inspection, x-ray protection curtains are not used because the food is unpackaged and usually contains raw meat and fish. This allows for a quick and seamless food inspection process that keeps the food sanitized.